Since May last year, I have experienced some great improvements in my health and am no longer bedridden, but in August, after a day out with the family, I had a massive flare up which lasted months. I don’t think it was just the outing that caused the flare up though, I was also going through a horrible histamine reaction which was exhausting my body. I ended up staying indoors for 5 months before venturing out, just after Christmas. Prioritising rest and sticking to my low histamine keto diet and supplements seems to be paying off, I had minimal payback from Christmas Eve and Christmas Day festivities, so a couple of days later was able to enjoy a whole afternoon out with my parents! I spent the morning in bed as usual. I tend to stay in my room till somewhere between 10 and 11 am. This way I start the day in a calm and quiet way. I go to the bathroom, then back to rest, I read and rest, then get dressed and rest some more before joining the rest of the family in the living room. It works for me. My parents said they needed to return home for the day for some reason or other and I’m not really sure how it came about, but I decided I would go with them. My sister was expecting a delivery so she stayed behind. It was a gorgeously sunny day. We hadn’t had any snow yet, so seeing the frosty leaves outside was a treat! The air was crisp and refreshing and the sun was bright in the bluest of skies. I sat in the back of the car with my neck support cushion, noise cancelling headphones, sunglasses and a blanket. I even swapped out my shoes for some super fluffy winter sock-boots. These are my staples when I travel, along with a water bottle, my supplements and some pain killers (just in case), also pack in some high-in-protein-and-fat snacks to keep me keto even if the others around me are snacking on carb-filled treats. The views were incredible! From the festive city streets to the rows of bay windows, each decorated with their own Christmas tree. From the bright green fields on the side of the road to snow covered mountains in the distance… it was a treat just to see the outside world again. My parents live out in the Lake District, so it was quite a drive. Fortunately I was warm and comfortable in the back of the car. I was in awe of the snow-covered mountains around us as we drove up the steep, winding road to their tiny village. The air was so icy, but the sun was so bright! It was the first time that I visited my parents’ house since they moved to the UK in January 2017! I’d heard all about it and built up an image in my mind of what it was like, but my imagination had it all wrong. It is good to finally know exactly where their bedroom is in relation to the kitchen and living room and how absolutely enormous their windows are overlooking the valley. Now when they send me photos I know where they are, I can recognise their home. I spent some time resting on the sofa while they got on with the business they had and then we had lunch by the window before I made myself at home on the sofa once again to digest in the afternoon sun. Just after 3pm we packed up and headed out to take some photos before the sun set. Dad drove me out to an area with a lovely view of the valley… hills overlapping hills with a mountain in the distance. Sheep grazing in the greenest of fields just ahead. It was beautiful. Icy, but beautiful. After the lovely sunset drive back to our town, we stopped at a local store just for fun. Since I was already out and still doing very well, my parents wheeled me all through the store and I got to enjoy a bit of the festive vibe that I had completely missed with all those months spent indoors. Lights, other humans and voices, music, scented candles, fluffy blankets… in the end I came out of there with new easy-to-slip-on winter boots and a cosy tracksuit bottom since I only have leggings left that fit me, no warm lounge wear. Being housebound means I never wear shoes, just my soft, fluffy slippers. I now have a single pair of winter shoes and cannot wait to go out again so I can wear them! Once we were home, mum made me a delicious keto pizza and we had a restful evening all together. I spent the next day resting, just for good measure. Legs up, and low key. A week has passed since that wonderful day out and I haven’t had the huge payback I had in August last year. I had 2 days of pain after Christmas, and it’s all been very mild since, apart from an increase in fatigue and some heaviness in my legs, I’d say I’m doing quite well. Praise God! This gives me much hope that I could possibly try going out once a month now, and if my body doesn’t rebel, I will try every fortnight. By taking it slowly and not getting too enthusiastic (which is what I usually do and then pay dearly for my enthusiasm), I hope to avoid causing a flare-up and maintain momentum on this path of improvement. Whatever happens, I have a feeling 2018 is going to be a good one. Yes, I think healthy people cannot understand the impact of such a simple outing or what it is like to spend 5 months indoors only seeing the same couple of people. The chronic illness community online is such a blessing in that they truly understand. It helps to know one isn’t alone in the experience. Thank you so much, Suzanne! Glad you are able to get out now, that’s amazing. Happy new year! My grandmother suffered from MS for most of her life, and I remember that although out came from a good place, a day out could certainly have long lasting effects. I am so glad that you were able to enjoy the day and manage it to make it work for you – it looks absolutely beautiful! Thank you! Yes, going out is tough for some of us, but sometimes the emotional gain outweighs the physical pain. Thanks for stopping by. I hope you have a lovely rest of the weekend. 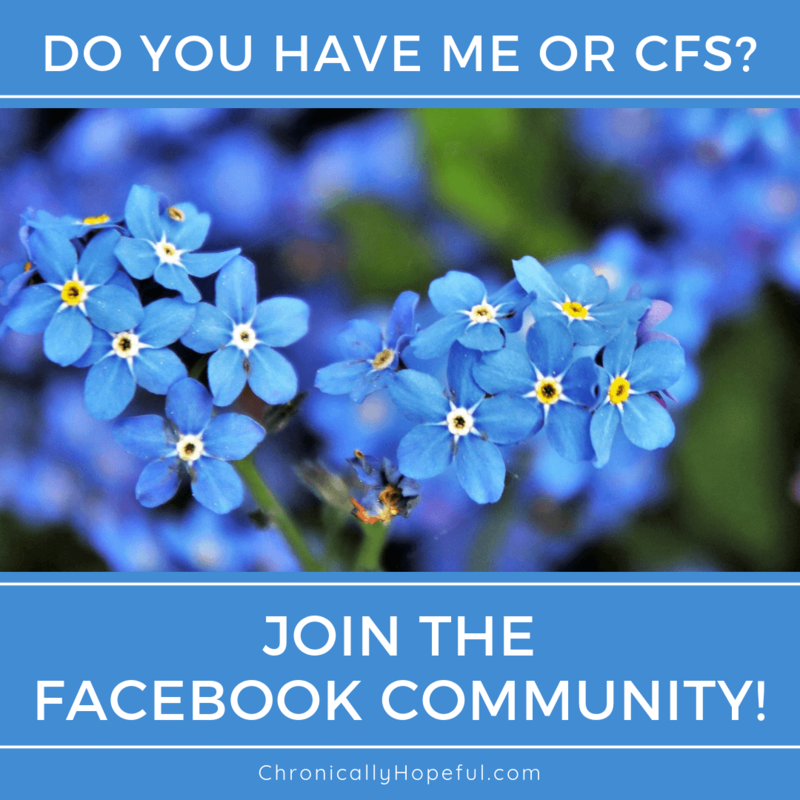 I am not a fellow chronically-ill person, but wanted you to know how much your story moved me. Your writing is as crisp and clear as the weather you were able to enjoy that beautiful day. Here’s wishing you many more lovely outings in days to come. Thank you for your very kind words, Alice, but now (after reading your “about” page) I’m wondering if that was a Lutheran Lie. Haha… actually it doesn’t matter because, oh my goodness, I LOVE your blog! Love the way you write, followed! How exciting to get to be outdoors after so long inside. To be able to connect with the world, to even see your parents house! And your pictures are beautiful! I hope this improved health continues for you.? Yes, it was a treat. Thank you so much, Shannon! Love your blog, I miss hiking and look forward to doing it again in the future, whether on wheels on on foot!! Thank you, Orla! I also worked in school before I fell ill… I remember how we used to dream about snow days, but never actually had one in the almost 5 years I worked in London. I bet the day I arrived in London would have been a snow day – I spent it dragging my luggage around the city looking for accommodation. Lol… It never did snow like that again. Loved your blog! Brilliant to read this. Such lovely sights, I’m so glad you got to go! I’ve been known to take a hot water bottle out and about, it’s surprising how feeling warm can really help. Thank you, Gemma! Yes, hot water bottles are a staple in my life too, not sure how I didn’t take one that day – would have been amazing!! Wow, the cold was painful up in the mountains in the evening. Although it’s absolutely gorgeous, I am glad I don’t live up there. Heat definitely makes me feel better.